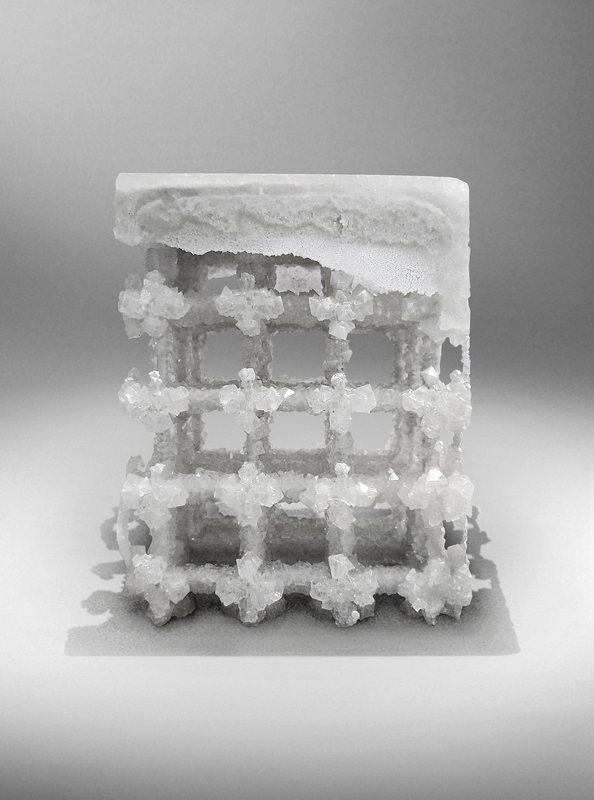 Crystal is a symbiosis relation between two different materials, a growing crystal of Potash Alum and a 3D printed modular frame. and the 3D printing technology supposed to move us in to the third industrial revolution. 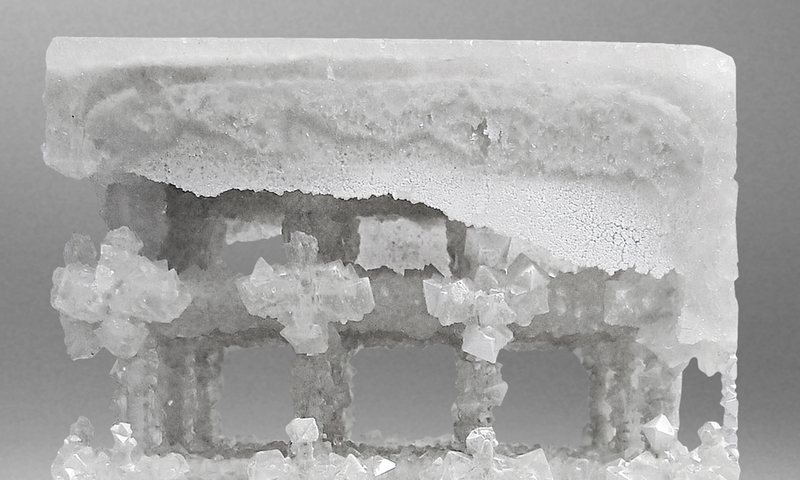 The 3D printed part is the foreign solid that will serve as starting point for the formation of the crystal that is growing extroflexed on it. The frame reduced at the minimal terms is made by modular joints and pipes that combined together creates infinite geometric structures. The mutual interaction between the two different materials create different solid objects as an experiment on new aesthetic form. Each piece is unique and has an indeterminate shape.